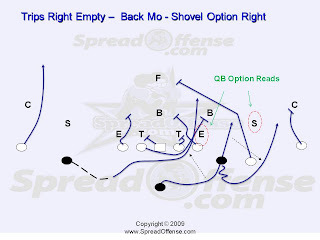 By popular demand, we present our first addition spread offense playbook's (offense and defense) for coaches and players. These playbook offers over in depth running and passing plays out of the popular spread offense on the offensive side of the ball, and a detailed 'how to defend' the spread offense on the defensive side of the ball. Looking to Defend The Spread Offense! Defending the spread offense in football has become a difficult task. 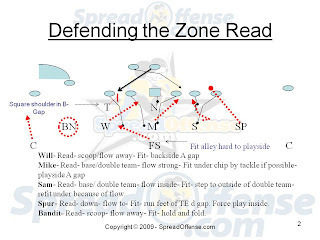 We have assembled what we feel is the best defensive playbook to get you on the path to successfully defending the spread offense. We detail defensive alignments, responsibilities, stunts, and coverages out of the 3-3-5 stack.